Apartment N. 224: It can accommodate up to 4 people, it is rented from 375 € per Night (not per person). 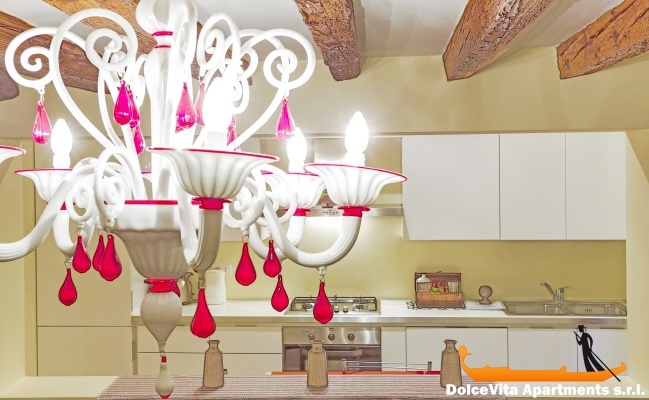 Apartment in Venice Suite San Polo for 4 People: CHECK-IN WITHIN 18:00, NOT AFTER. 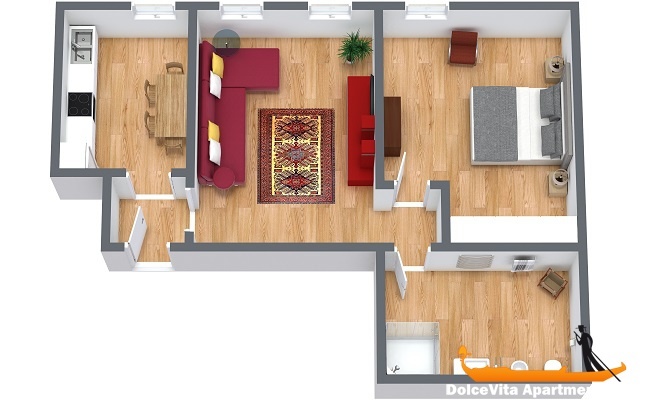 Elegant apartment consisting of kitchen, living room, one bedroom and bathroom with shower. 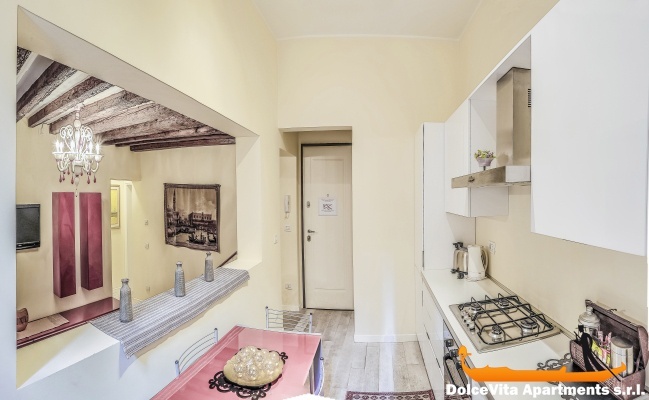 Situated on the second floor of a building in San Polo district, the apartment is just 100 meters from Rialto Bridge and just 7 minutes walking from the beautiful St. Mark’s Square. Also excellent for travelling by boat, the house is 200 meters from Rialto waterbus stop. 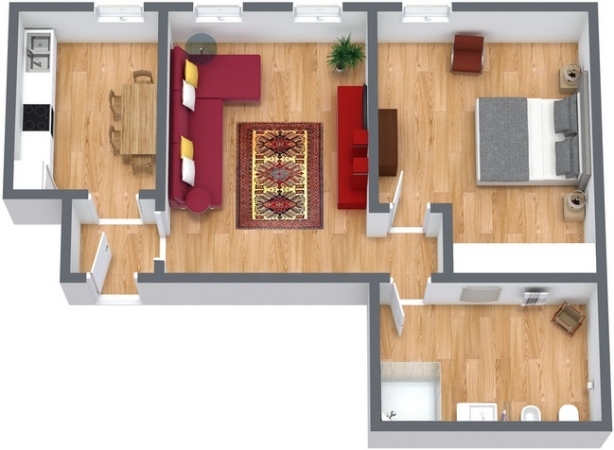 Thanks to a comfortable sofa bed (in the living room) this apartment can accommodate up to 4 people. Pets are allowed. As far as amenities available: the kitchen is fully equipped and includes oven, microwave, fridge and freezer. Also available within: Wi-Fi connection, satellite TV, air conditioning and heating system. Towels, sheets and blankets are provided.